Kel-Tec got its start as a CNC company in 1991, cutting frames and parts for weapons manufacturers. Later on, Kel-Tec went on to create its own line of unique weapons. 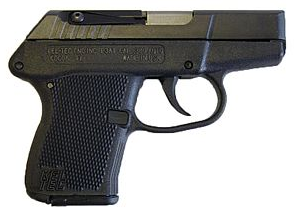 In 2003, Kel-Tec introduced another well-designed firearm to the shooting public – the P-3AT. The inspiration for its P-3AT pistol was one of its predecessors – the P-32. 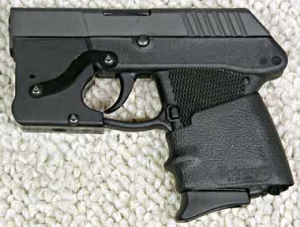 Much like the P-32, it is also a light, semi-automatic, double action only pistol. Its frame is polymer, its action is 7075-T6 aluminum, and the barrel and slide are 4140 steel. 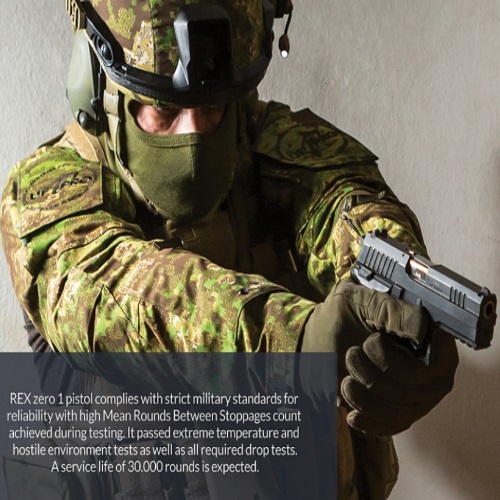 It’s one of the lightest – if not THE lightest – .380 ACP caliber pistols ever to be produced. We’ll cover this great gun here in our Kel-Tec P-3AT Pistol Review! The .380 ACP cartridges which the P-3AT fires were developed by John Browning, the famous arms designer, in the early 20th century. These rounds are also known as the 9mm Browning. 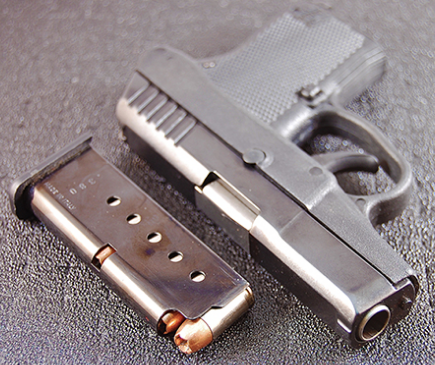 The .380 ACP is a cartridge which is very similar to the well-known, widely-used 9X19mm Parabelum, aka “the” 9mm. It is a powerful, compact, light round, and for those who are carrying a weapon in concealment – or who wish to have a round which has less potential for excessive recoil – it is a very popular choice. The 9mm Browning was phased out in favor of the 9mm Parabellum, but there are many pistols nowadays which accept the .380 ACP. There always have been weapons manufacturers which have designed weapons for that caliber, because it is one which never leaves the market. 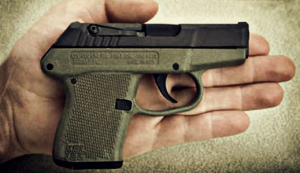 The Kel-Tec P-3AT is one in a long line of guns chambered in .380 ACP., and it is the only firearm in the Kel-Tec line which is chambered to fit that size cartridge. So, as you may have gathered, this gun is not for everyone. Not everyone are in need of this small gun or its cartridge. Some people need (I mean need) to feel their gun, all the time. They need a full size, all metal SIG Sauer in order to feel like they are carrying a weapon of some kind. They scoff at polymer, berate aluminum, and say that toy guns belong in a different kind of shop. Well, those people can say what they want. We all have different needs, right? Some of are carrying (whether openly or in concealment) for slightly different reasons. Some of us are civilians, and some are law-enforcement officers using a Kel-Tec P-3AT as a backup gun. The point I am trying to make is that as long as it fits YOU and your needs – there is no reason why to pass up a gun like the P-3AT. Kel-Tec have been proving themselves worthy for 25 years, and the P-3AT is still a widely used model, which is still being produced today. So, on paper it seems like this gun is worth checking out. And here comes the price issue. And the issue is that, well… there is no issue. This baby is priced at $338. How great is that? And it’s a Kel-Tec, so you know that it is a quality item. Some say Kel-Tec’s weapons are overpriced. Even if we grant that claim, which I don’t fully agree with, this is one case in which even the most vehement anti-Kel-Tec shooter will surely lay down his arms and say ‘yes, that is a fair price’. More than fair – the Manufacturer Suggested Retail Price for the P-3AT is below the average asking price for a weapon of this caliber and capacity. In a perfect world, we may have not needed or wanted for any accessories. No call for optics, extensions, barrels, triggers, and the like. But, this is not a perfect world, and some accessories are downright essential. 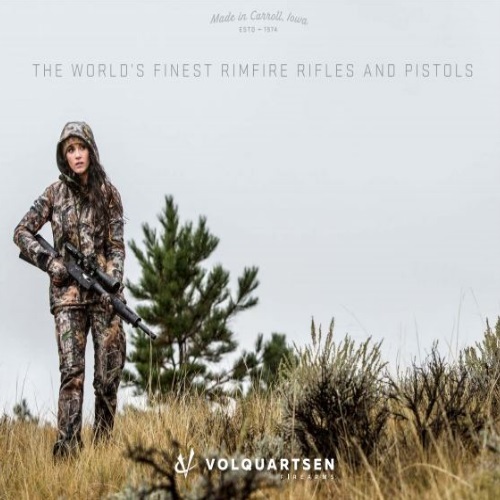 The most important to remember about accessories is that they are meant to facilitate the shooter – the grip, the firepower, the accuracy or visibility. Whatever it is, it is all about getting that first shot out properly, and following it up with equally accurate shots. Alternatively, you could fire a $10,000 diamond-encrusted pistol with state-of-the-art optics, and still miss because of nerves. Accessories don’t necessarily make you a better shot. That is won by training. Accessories are tools designed to make your shots count, and here a few of the most popular ones for the Kel-Tec P-3AT. Magazine Extension – The factory-made mag extension adds 1 or 3 more rounds to your count. This makes the magazine somewhat longer, so if you are carrying in concealment it is something to consider when looking to extend. It never hurts to have more firepower, and 9 rounds of a .380 ACP cartridge is a respectable count for such a small weapon. 9 + 1 in the chamber make for an even 10, which complies with the 10-round limit which certain states enforce. 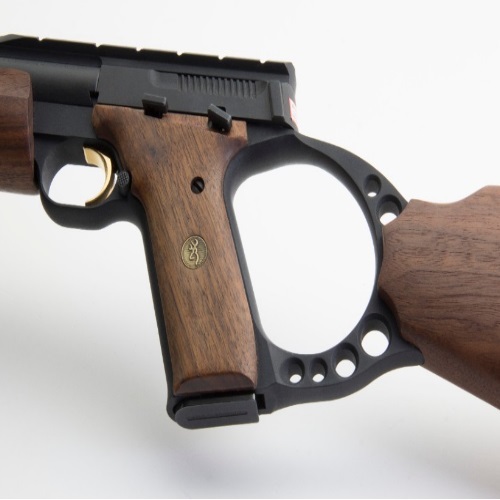 Grip Sleeve – Remember when I said that some people need to really feel their gun? Well, that should apply to all of us shooters, to some extent. We may not all need a full-sized pistol to be confident but we do all strive to have that positive tension and traction going on between the gun and our hands. A sleeve can help you achieve that is a better way. Choose your color, slide it on, heat it up, and you are good to go. Most sleeves are very durable, and will serve you well for years to come. Belt Clip – I mention this for the benefit of those who do not wish to get into the whole holster thing. A clip can be just as good, but it only depends on you and your needs. This is true to any accessory, and this one is no exception. So, in other words, what will you be using it for? If it is going to be used as a backup weapon, a belt clip may not be the way to go at all. On the other hand, if it is to be used as a primary weapon – well, you get the idea. It is a relatively simple and easy carrying solution. Optics – Crimson Trace make a laser specifically for the P-32 and P-3AT models. It is a device which requires no gunsmith care or warranty-voiding modifications to be made. Activated instinctively, all a shooter has to do is hold the weapon in the normal fashion. The laser responds and turns on immediately. Various flashlight models and flashlight clamps are also available, but the Crimson Trace is by far the most popular option. Hard Case – The P-3AT comes with a soft zippered case, but for those of you who are interested in a more reliable, more secure kind of solution, the factory-made hard case will do the trick. The hard case which Kel-Tec offers is a universal Kel-Tec case, which will fit any Kel-Tec handgun other than the PLR-16 or PLR-22. As mentioned, the magazine is something of a crucial point with the P-3AT. While many civilian encounters will not necessitate more than 6 rounds, Kel-Tec did release the 9-round magazine mentioned earlier. Like I said, it never hurts to have more firepower. For those who want to add a single extra round, there is also the option of the +1 magazine extension. I feel you would have to be really particular to go for the +1 extension rather than the +3 magazine, but to each his own. For law-enforcement, the +3 magazine is an obvious choice, but it could go either way, since police officers would normally be using this as a backup, and may want to keep it as concealed as possible. Different scenarios call for different types of gear. The Kel-Tec factory makes the +1 extension and 9-round magazine, but there are other companies making magazines for the P-3AT. 10-round and 15-round magazines are also available for the P-3AT, though you could argue that by the time you reach those numbers, the weapon’s conceal factor goes right out the window. However, they do exist. So, if firepower is your thing, a 15-round magazine could be very useful. 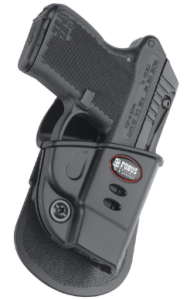 Sof-Tuck Holster for P3AT, by DeSantis – This is an inside-the-waistband holster which also fits the Ruger LCP, SIG Sauer P238, and Colt Pony/Mustang/Pocketlite models. It is right-hand-oriented, brown, and made of leather. It can be worn on either side, and will also fit on the small of the back. Nemesis, by DeSantis – Another one by DeSantis, this time in a pocket holster variety. The Nemesis is black, ambidextrous, and reliable. Fits the Ruger LCP and Taurus TCP models as well. It provides great retention and an easy draw. Pocket Holster for P3AT, by Federal Holsterworks – Another pocket holster, which is a carrying method which many find compliments the P-3AT a great deal. Also fits the Kel-Tec P-32, by the way. The outline of the gun is broken up, forcing curious parties to ask: gee, is that a gun in your pocket, or are you just happy to see me? Ankle Lite, by Galco – You guessed it, it’s an ankle holster. Made for the Ruger LCP, Kel-Tec 32, and Kel-Tec P-3AT, this is a holster which fits ankles up to 13” circumference. There is some padding there, since the ankle really is one of the more annoying concealed carry locations. If you are to be walking around with it all day, it needs to be in a comfortable holster. Tough Velcro offers a great deal of reliability and security. The Ankle Lite is available in black or khaki. The P-3AT has been around for years, and is still being produced. People like shooting it, and it has proven itself over time. It is not a gun for everyone, since it facilitates more of a particular need. However, if you feel you could use a solid, compact, powerful handgun, which can be concealed with ease and is reliable – do not hesitate. This is a gun which, if properly maintained, will serve you faithfully for a lifetime. Which is, by the way, what Kel-Tec offers as a warranty. A limited lifetime warranty is given to all Kel-Tec firearms. Just make sure that you don’t modify the weapon or otherwise nullify the warranty, and you will be able to call upon Kel-Tec’s customer support at any time. If you are the original owner – with a valid proof of purchase – Kel-Tec’s reps and smiths are at your service. If you get the chance to fire this weapon at a shop or a range, I urge you to do so. I promise you, you will dig this neat little gun. The price is right, the specs are more than adequate, and in the category of 9mm guns under $350, it is probably one of the better options. Cheaper is not always better, and when it comes to firearms, cheaper is always good cause for suspicion. In the case of the Kel-Tec P-3AT, however, it is simply a matter of healthy marketing. Check out our other Kel-Tec features – like those on the PF-9, P-11, P-32, and PMR-30 here at Gunivore! Thanks Sam, I love my P3AT!